The true class nature of the Irish state was exposed recently at the eviction of the Take Back the City group from a house in North Frederick Street, Dublin, when employees of a private security firm, masked and armed with sledgehammers and cutting equipment, smashed into the occupied premises while being protected by gardaí, who were also were wearing balaclavas. This lays bare the fact that the protection of property rights will always take precedence over citizens’ rights. The state is not a benevolent state acting in the interests of citizens or the common good—quite the opposite: it always acts on the side of the propertied classes. In response to a public outcry over the gardaí wearing masks while on duty, the newly installed commissioner of the Garda (and former MI5 agent), Drew Harris, attempted to raise a smokescreen when he said that these were fire-retardant masks and should have been worn with helmets. That would be true if they were being worn for that purpose, but in fact they were worn to hide the identity of the gardaí, and to intimidate and terrify citizens—a point made obvious by the fact that none of the gardaí were wearing fire-retardant gloves, and one would have to assume that your hands would be most at risk in a fire. 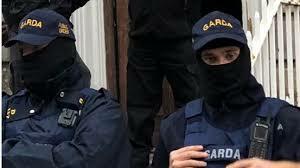 The identity of one of the gardaí was discovered and circulated on social media. This led to uproar in the establishment, the media and the Gardaí and a call for the photographing of gardaí while on duty to be outlawed. This call was supported by the minister for justice. It is ironic that such a call should be made in this, the fiftieth anniversary year of the founding of the Northern Ireland Civil Rights Association, resulting from the fact that the nature of British rule in the North of Ireland had been exposed by photographic evidence of the multiple vicious assaults by the RUC, assisted by masked civilians, who ambushed peaceful demonstrators in such places as Burntollet and Coalisland and all over the Six Counties. These images were beamed all round the world, which put beyond doubt the bigoted, sectarian nature of British rule in the North of Ireland for the world to see. 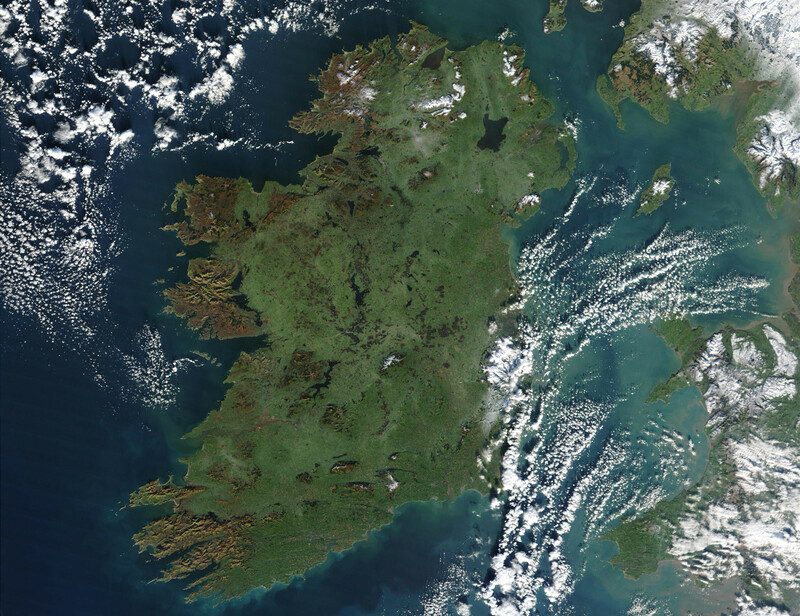 The state keeps the two communities at each other’s throats by unnatural religious division, which ensures the continuation of British rule in that part of Ireland by dividing the working class and diverting their attention from the real enemy, British imperialism. Similarly, the police in the South attempt to disguise the fact that the rule of law and government is only in the interests of one class. The outrage over the housing crisis, expressed through occupations, demonstrations, or evictions, must not be allowed to bring into the public glare, through photographs or social media, the true nature of this state, which could lead to an unstoppable fire that they would need more than balaclavas to protect themselves against. Take Back the City is a symptom of the outrage felt by citizens at the complete and utter failure of the state to house its citizens. It has led to the occupation of vacant premises being supported by well-known housing activists such as Father Peter McVerry. Unfortunately, the likes of Peter McVerry and others do not recognise the fact that government housing policy has not failed. Yes, it may have failed the citizens, but it was not designed to act in their interests: it was designed in the interests of the owners of private property, landlords and sectional business interests, in order to completely transfer the provision of housing from a mix of state and family home ownership to the private rented sector, and a small percentage of the most wealthy citizens who can still afford to buy a home. This policy began in the 1960s and has continued up to today, to the stage we are at now, where very little state-owned housing is left, and ordinary working people cannot afford to buy or own their own home, being excluded through low pay, precarious employment, and high property prices. The crisis in housing has been highlighted by occupations in Cork, Waterford and Dublin and by organisations such as the Campaign for Public Housing, which have led to a naïve demand for the state to sort out the crisis. The state’s response to the public outrage is more of the same. They set up another well-paid quango for their cronies, called the Land Development Agency, to provide 150,000 homes over the next twenty years. That’s 7,500 homes per year. There are now 10,000 people in emergency accommodation, and the number rises continuously. There are also 140,000 on the housing waiting-list. So even if they were to build 150,000 homes over twenty years it would still not be enough. It is only done to confuse and deflect attention from the crisis and make it look as if the state is acting in our interests. The plan for these 150,000 homes is that 60 per cent will be private and 30 per cent will be classed as “affordable”; but at €320,000 one has to ask, Who are they affordable to? The remaining 10 per cent, or 15,000 homes over twenty years, or 750 homes a year, would be classed as “social housing,” for low-income families, which only repeats the mistakes of the past. And in time they would probably be sold to tenants for knock-down prices. This response from the Government is wholly inadequate. There is only one solution to the housing emergency, and that is a completely new policy, to set up a state housing service, universally accessible to all citizens who want to avail of it, with rents linked to income. These homes must be built by the state, costing a small fraction of what it would cost to have them built by private builders, and must never be sold to tenants. They would be a state asset, that would continue into the future for citizens to be continuously housed in. Rents must be linked to incomes and not dictated by the market or by the political elite. Fine Gael have no idea, nor do they care a jot, what ordinary working people require when they suggest that a house priced at €320,000 is “affordable.” You would have to be earning €82,000 per annum, have no children and have saved up a deposit of €32,000 to qualify for a mortgage to buy at this price—in a country where half the population earn less than €28,000 per year and only the top tenth of earners are paid more than €70,000. This shows just how ridiculous the notion of “affordable housing” is, as even many of the top tenth of earners would not be able to afford one. And who could afford the market-priced 60 per cent of homes in this plan? The great majority would be bought by investors, to rent out at excessive rents, no doubt subsidised by the state. 53 per cent of homes purchased last year were for cash. The NIMBY brigade (“not in my back yard”) who can afford these overpriced homes might find that the house next door has “public-housing tenants” living next door after all.